For quite a long period of time, quantum computers were nothing more than a fantastic idea, but today this idea is very close to real incarnation due to the fact that the governments of many countries and the leadership of large companies are intensively investing in the development of quantum technologies. There are even commercial samples of the “controversial” quantum computers of D-Wave already existing in the world, but until recently there has never been obtained reliable evidence of the so-called quantum superiority, cardinal superiority of quantum computers over classical computers in solving specific and optimized computing tasks . Ordinary, classical computers in their work are based on the laws of classical physics. The data that these computers operate on is represented as a sequence of logical ones and zeros. These logical levels are realized in the form of the presence or absence of electric charge in the active element of the memory cell, in the form of an open or closed state of the transistors that make up the logical elements that perform arithmetic or logical data operations. The internal organization of quantum computers is much more complicated than the organization of classical computers. The amazing laws of quantum mechanics allow a quantum bit to take a value equal to one and zero at the same time. This unique state, called the state of quantum superposition, allows quantum computers to perform a variety of operations on various data, doing the work for which a classical computer needs to execute a sufficiently long sequence of commands. And it is this feature of quantum computers that should allow them to perform algorithms optimized for this, for example, Shor’s algorithm (factoring), many times faster than classic computers. 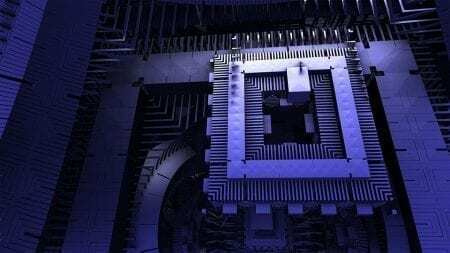 Just recently, a group of scientists from the University of Technology in Munich, Germany, the Institute for Quantum Computing at the University of Waterloo, Canada, and IBM successfully demonstrated the principle of quantum superiority. For these purposes, a quantum scheme was created, focused on solving a complex and computationally heavy algebraic problem. A distinctive feature of this scheme was that each of the qubits used in it could perform a strictly fixed number of operations, in other words, this quantum scheme had a fixed functional “depth”. Moreover, the scientists proved that the solved algebraic problem cannot be solved on a classical computer system with a fixed functional depth. Previous PostPrevious What is Internal Linking and Why Does It Matter?